We are pleased to offer a Dividend Reinvestment and Direct Stock Purchase Plan (the "Plan") to holders of Starwood Property Trust, Inc. common stock and other interested investors. The Plan is administered through the Company's transfer agent, Computershare Trust Company, N.A. ("Computershare"). For further information please contact Computershare at (877) 373-6374 or visit Computershare's website at www.computershare.com/investor.  Starwood Property Trust, Inc. has filed a registration statement (including a prospectus) with the Securities and Exchange Commission (SEC) for the offering to which this communication relates. Before you invest, you should read the prospectus in that registration statement and the other documents we have filed with the SEC for more complete information about us and the offering. You may get these documents for free by visiting the SEC website at www.sec.gov. Alternatively, Computershare will arrange to send you the prospectus if you request it by calling 1-877-373-6374.